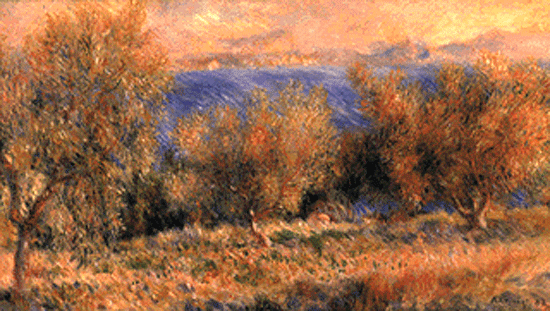 At the end of January 1882 Renoir visited L'Estaque, a small fishing village just west of Marseille. Staying at the Hotel des Bains overlooking the sea he visited with his friend Cezanne. He was delighted by the olive grove in winter with the blue sea beyond.